Cement and building product supplier CEMEX will share the industry’s work on improving cyclist road safety at this year’s Freight Transport Association (FTA) Transport Manager Conferences. Delegates at this year’s conferences, at which cycle safety is the key agenda focus, will be able to listen to how the freight community is helping reduce death figures. 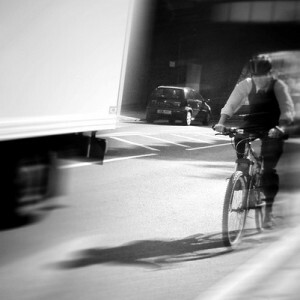 Currently, HGVs are involved with more than 500 (18%) of the 3,000 cyclists killed each year on Britain’s roads. ‘Getting a handle on cycle safety’ will examine the requirements the freight industry will increasingly encounter, the impacts when cycling incidents occur, and the minimising actions transport managers can take. Richard Claydon, Global Director Health & Safety at CEMEX, said: “At CEMEX we treat health and safety as our number one priority. “We have long since recognised that when considering the public, a matter of key importance is the safety of vulnerable road users such as pedestrians, motorcyclists and cyclists. “As part of our work to improve safety for cyclists, we carried out a major review of the driver’s field of vision across our range of vehicles and to see what else we could to improve. “As a result, among the safety features we introduced were an additional ‘fish eye’ design mirror to remove the blind-spot for our drivers, and we designed and installed a sign for the rear nearside of the vehicles to help warn cyclists of the danger associated with them moving along the inside of the truck. The Transport Manager series will be on the road throughout the UK from September to December 2013. Conferences will also hold interactive quiz sessions compiled by the FTA’s Member Advice Centre (MAC), focussing on daily compliance issues faced by transport managers. FTA policy experts will be available at each conference to deliver essential updates providing delegates with guidance and best practice advice surrounding future legislation and enforcement changes. The price for FTA members is £325, plus VAT, for the first delegate and £275, plus VAT, for subsequent delegates. Non-members are charged £385, plus VAT, for the first delegate and £345, plus VAT, for subsequent delegates.